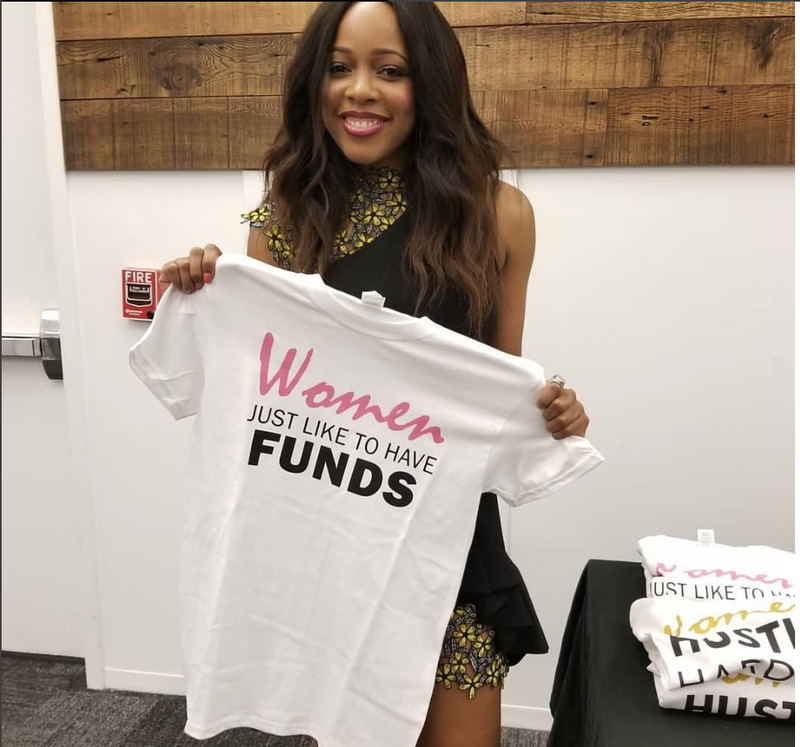 EnrichHER Funding is fueling the growth of women-led businesses by enabling female founders to secure capital in an affordable and non-dilutive way. Similar to Kiva, EnrichHER provides investors with an opportunity to lend to small businesses. EnrichHER loans range from $25,000 to $75,000 and are made to pre-screened women-led companies. 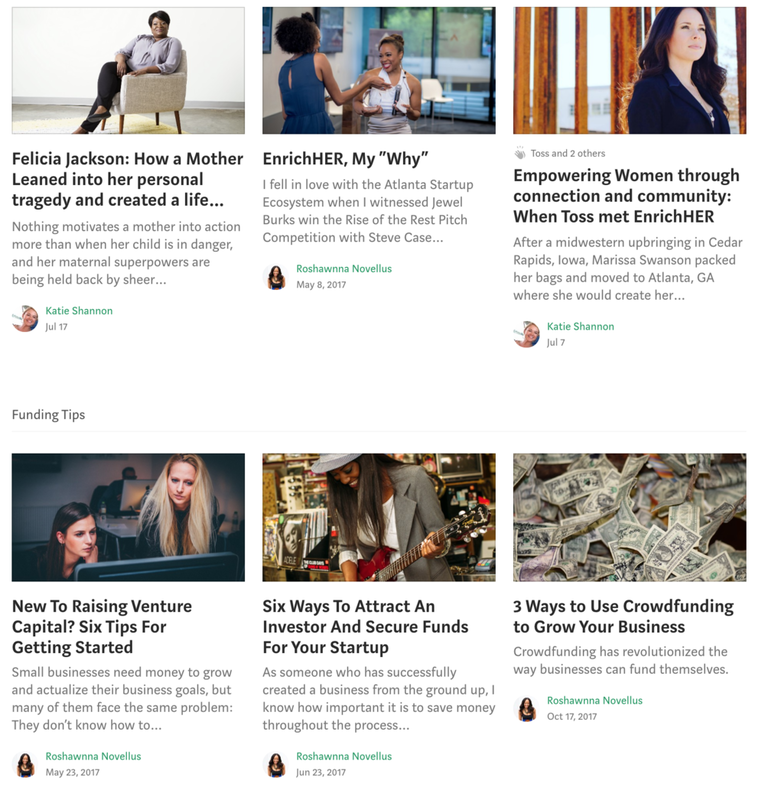 EnrichHER Funding is a debt-based platform funding women-led businesses. All funds will need to be repaid to your funder using principal and interest. There is no obligation for the founder to accept funding, nor is there a guarantee that all companies will be approved for non-equity funding. The EnricHER weekly newsletter has your hottest resources and entrepreneurship news coverage. We'll let you know about grant opportunities, funding opportunities, entrepreneurship resources and an inside track to what's going on with EnrichHER. Read our blog for the latest in entrepreneurship resources, fundraising resources and our Faces of Funders and Founders series. Our blog is dedicated to helping you access all of the information that you need to connect with a Founder or Funder. LinkedIn is one of our favorite platforms to connect with both our Founders and Funders. Stay in the conversation by connecting with us on LinkedIn. Moreover, comment on and recommend posts that are helpful for our community. EnrichHER swag helps you represent that you support founders and funders coming together to build sustainable businesses. Purchase any of our swag items to support our collective movement. LESS THAN 8% OF FUNDING GOES TO WOMEN-LED COMPANIES.WE’RE HERE TO CHANGE THAT AND HERE'S HOW YOU CAN HELP! 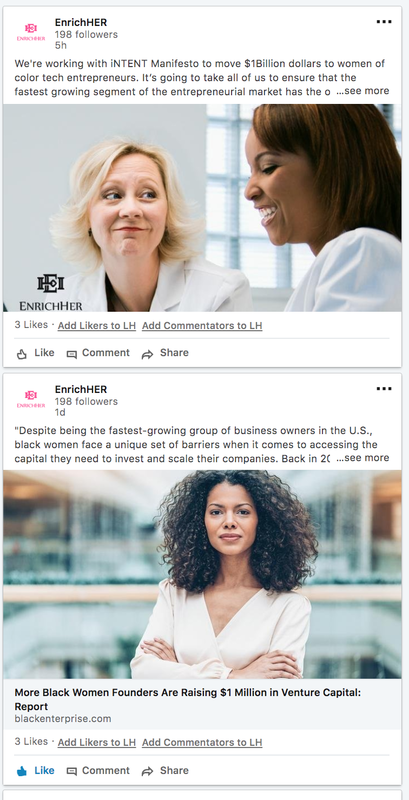 EnrichHER Funding will pilot with 10 revenue-generating companies and will grow to feature more than 10,000 companies, empowering an entirely new generation of female entrepreneurs. In addition, we give out grant dollars to support entrepreneurs at each of our events. Our goal is to raise $100,000 in grant funding for our entrepreneurs.